We are a globally trusted brand. Partnering with us gives you access to extensive networks in important global markets, and expertise in international learning, arts and community programmes. We collaborate with a variety of organisations in Kuwait, leveraging our global networks, expertise and trust to help them achieve their goals. When it comes to our business partners, we fully understand their corporate social responsibility and marketing strategies. 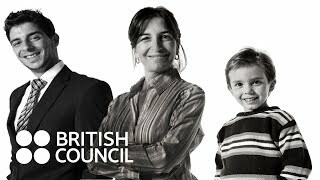 British Council is keen to work with individuals and organisations who are interested in partnership opportunities between Kuwait and the UK. We are uniquely-positioned to offer an innovative and diverse mixture of opportunities which can strengthen cultural relations, open new doors for business and enhance global reputation. The British Council is keen to work with individuals and organisations who want to invest in Kuwait and the UK. See who we work with in Kuwait creating opportunities through our projects and programmes in English and soft skills, education and training, the arts and the creative industries.